At Loaf we’re proud to stock food and products made locally by other independents and we strive to use local, ethically sourced ingredients in our baking and lunches. Our bread is baked with flour from Matthews Cotswold Flour who provide us with local, organic flour for a good price. We are happy to sell you this flour by the kilo if you bring your own container. Fresh vegetables for lunches are sourced from Wards on Stirchley High St, while our sausage meat and beef comes from Rossiters on Mary Vale Road. Rossiters also teach on our Pork butchery course. For our staple ingredients we use Suma Wholesale, a wholefoods co-operative which shares our values. Pip’s Hot Sauces – a local legend, we’ve been stocking Pip since we opened. Her staple La Boca Del Diablo is divine and she’s always experimenting with new flavours. Cuffufle Preserves – Another legend and fixture at the community market, Rachel makes a wide range of jams, chutneys and cordials with ingredients from her garden and foraged locally. They’re so good we struggle to keep them on the shelves! Jacky’s Pantry – New for 2019 and based out of Redditch, Jacky’s make a wide range of delicious small-batch jams and preserves from home-grown, foraged and locally sourced ingredients. They also stock the Attic brewery around the corner with their cider, so go check that out too! Graham Francis’ Honey – Graham has been bringing us honey since we opened, produced by his bees and bottled in Kings Norton. Sometimes he takes the hives on holiday and we get small batches of heather honey, which is divine. 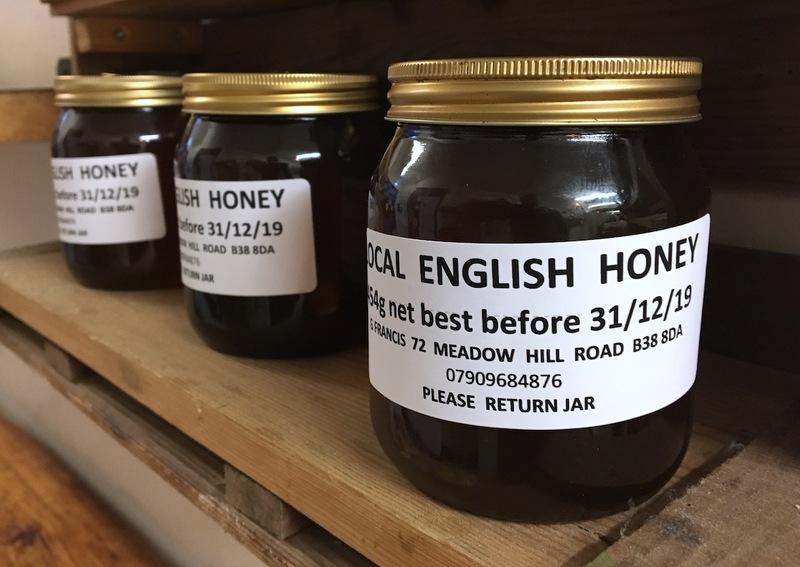 Amalson’s Honey – Sam is a honey importer based in Stirchley who specialises in raw honey from bees pollinating very specific flowers. If you thought honey was honey, prepare to be amazed! Kneals Chocolates – With the purple elephant over the border fully swallowed by a multinational corp, we’re happy to be selling real chocolate, made in Birmingham with local ingredients. Kneals’ range will satisfy everyone from the dark chocolate afficionado to the kid with a sweet tooth. Queen of Camillias – Arlene makes small batches of specialist teas and herbs, from the hearty Assam to delicate infusions, sourced from organic farms and tea estates and priced to make quality teas and herbs available to all. Quarterhorse Coffee – Quarterhorse select green beans by quality and seasonality from trusted suppliers and hand-roast them on Bristol Street, Birmingham. Woo Rapeseed Oil – Sam is a fourth generation rapeseed farmer on a mission to stop people buying poor quality olive oil and instead to use his extra virgin, Rapeseed Oil grown and cold-pressed down the road in Worcestershire. We’re delighted to be using this in the bakery too. Happy Gut Hut – We stock Alyn’s Kombucha which, as well as being well tasty, is great for rejuvenating the microbes in your gastro-intestinal tract! Droitwich Salt – Harvested by hand from an ancient brine spring under Droitwich Spa and crystalised at Churchfield Saltworks, this surprisingly local salt is available pure or flavoured by Brad Carter from that Moseley. Eggs come from family owned farms within 50 miles of us, supplied by Oakleigh Foods who also bring us butter from Warwickshire. We’re always looking for things to sell in the shop which complement our bread.If you know of a local supplier of interesting and/or ethical foodstuffs, please get in touch!